We visited Susie’s Lake for the first time about a week ago, and it was such a treat. It can be a little hard to find, but once you’re in the trail offers a fast escape from the City that will refresh the body and soul. 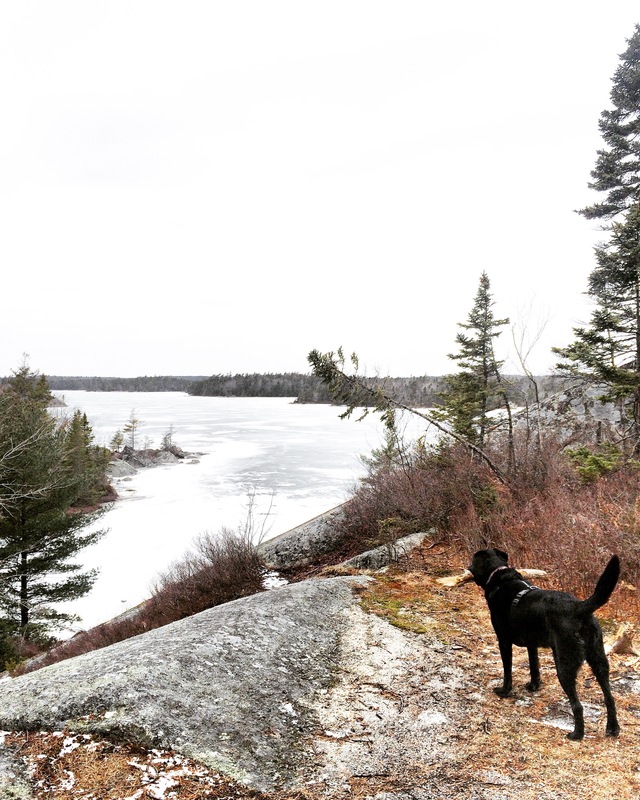 The Susie’s Lake Trail is part of the Blue Mountain Birch Cove Lakes Area which we visited for the first time last year. However, this little trail does not appear to connect to the more extensive trails at Kearney Lake, Charlie’s Lake, Fox Lake and Ash Lake. Small can be great. The Susie’s Lake Trail provides a quick hike down to the lakeshore, and then back up to some great views. To get there, we parked at the Kent in Bayer’s Lake (click here to see it on the map). Like I said, the trailhead can be hard to find. If you’re facing the Kent store, go to the far right hand side of the parking lot and walk along the fence. You’ll probably feel like you’re trespassing in Kent’s lumber yard. But this is the right way, I promise. The trailhead is at the back corner of the lumber yard, to the right of the Irving tower. You should be able to see a bright yellow sign in the woods. Just walk towards that, and you’re in! From there, hang a right and it’s a straight shot down to Susie’s Lake. It will only take about twenty minutes to reach the lakeshore. Next, turn around and head straight back on the trail. After a few minutes, you’ll reach a side trail that you may have missed on your way in. On the way in, the side trail would have been to your left. It will now be to your right, with a small wooden bridge pointing you in the right direction. The great thing about exploring new places is never knowing what to expect. What seemed like a “little side trail” actually turned out to be the main event. With just a little bit of climbing, we were rewarded with some awesome views of the lake. In addition to the views, the Susie’s Lake Trail has a lot of great features. For one, the trail was completely deserted. We didn’t see another human. Finding that level of solitude so close to the City is pretty incredible. Another great advantage is that you can get to the lake after only about 20 minutes of hiking. We’re keeping this one in mind for a hot summer day. There’s really nothing like some alone time in the woods with your best pal to cure the winter blahs. We finished this dogventure with a clear head and a happy heart.